The marriage of poetry and politics has never been easy. Too often, pressed beyond the mysteries of its own song for such purpose, the poetry suffers, becomes facile sentiment or simply didactic. In Latin America, the poet who best met this challenge earlier in the century was the Peruvian César Vallejo, with his difficult and startling fusions of language. 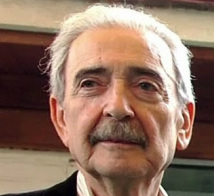 One of his most worthy heirs in subsequent generations is the Argentine poet Juan Gelman, now 67 and living in Mexico City. Born and raised in Buenos Aires, Gelman was the son of activist Jewish immigrants from the Ukraine. He joined the Communist Youth as a teenager, but left the party in the 1960s; several years later, he became associated with the Montoneros, a faction within the leftist wing of the Peronist movement, only to break publicly with them in 1979, critical of their exclusively military aims. By the '60s he had also established himself as a journalist and published his first books of poems. From the start, his poetry experimented in combining social issues with purely literary concerns, resourcefully drawing upon the full range of modern poetry as well as older traditions. Unthinkable Tenderness makes available in English a broad selection of his poems from the 1970s and '80s, written almost entirely in exile. Yet such is his defiant commitment to life, his ardent faith in love, that personal tragedy leads him back to collective dimensions. He invokes fallen compañeros and their struggle against injustice, as in the intimate ring of poems from So Gently, and these become quests for beauty and fire "against the great defeat of the world." As a sort of centerpiece to the book, the 25 prose poems from his 1980 collection Under Foreign Skies offer a lucid and ironic meditation on exile. "The need to self-destruct and the need to survive fight with each other like brothers gone crazy." He examines his own nostalgia and love for his imperfect country, and observes how the foreign streets seem to reject him and many another Latin American who dreamed of them. He considers the "professors of exile" who seek to measure his experience, likening them to crows. Later, he recognizes how the exile himself may get so absorbed by his condition that he becomes obsessed with it, to the exclusion of all else. "Exile is like an everyday otherworld, like a mistake," he says, and concludes the sequence by drawing a direct line between the accumulation of wealth in Europe and the history of suffering in Latin America: "Centuries have passed, and the beauty of the vanquished still rots your brow." Gelman’s language is deceptively simple, rooted in the details of daily life, and so it may be easy to miss the achievement of Joan Lindgren’s translation. Her impeccable ear seldom falls short in bringing across the heartache in his voice, his precisely nuanced syntax, his bursts of fantastic imagery, his subversive wordplay. Among the poetic strategies he employs, his use of intertextuality is particularly remarkable. On the one hand, since the ‘60s and again in the ‘80s, in the collection Southward, he draws on a series of heteronyms, alternate personae of poets who even refer to each other, to explore voices that overlap with his own, that partly share his experience yet under a different light. As another approach, in the delicate timeworn echoes of Com/positions, he weaves in his own voice with his adaptations of Jewish poets of the diaspora from many centuries earlier.